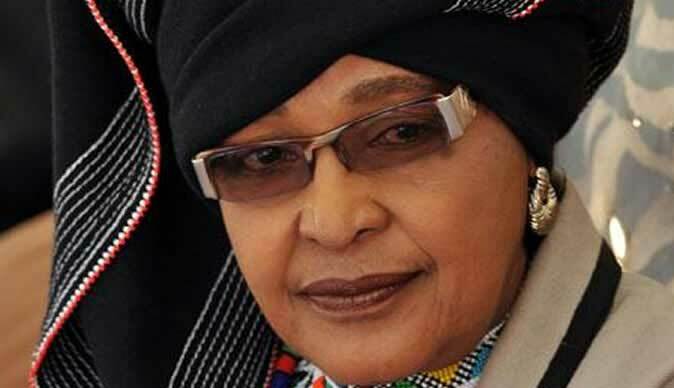 Winnie Madikizela-Mandela was in tears after visiting Milpark Hospital in Johannesburg on Thursday where former president Nelson Mandela was being treated. She wiped her eyes and blew her nose as she left the hospital around 13:30. Madikizela-Mandela was with Mandela's eldest grandson, chief Mandla Mandela and other family members. Anti-apartheid activist Albertina Sisulu earlier entered the hospital in a wheelchair and was later seen driving out. She smiled and waved at photographers. Justice Minister Jeff Radebe, Mandela's personal assistant Zelda la Grange, and the daughter of Mandela's wife Graca Machel arrived earlier. Senior military officials were also seen entering hospital grounds. Three journalists from a Chinese news agency who managed to sneak past security and get into the hospital had their cameras confiscated by police. Media were barred from entering the hospital premises and could only get a clear view of the area by parking on a nearby bridge, overlooking the hospital. Police questioned the journalists about how they got into the facility and searched their pockets. A police officer at the scene said to one of them: "If you're bad to us we will be bad to you". As they drove out of the hospital gates, police returned their cameras. Police and sniffer dogs earlier scoured the area around a temporary barricade of dark green shade netting and potplants set up to hide the rear entrance. There has been no word on the 92-year-old statesman's condition. The hospital was not planning to comment. Mandela was admitted there on Wednesday for what the Nelson Mandela Foundation called "routine tests". The hospital public relations officer was seen taking refreshments and newspapers into the wing where Mandela was being treated. There had been no further word from the Foundation by 13:30 on Thursday.